While creating Video Portal Website for a client we Researched lot so we listed out 25+ Video WordPress Themes like Youtube portal from which you can start your online video portal in just one click. 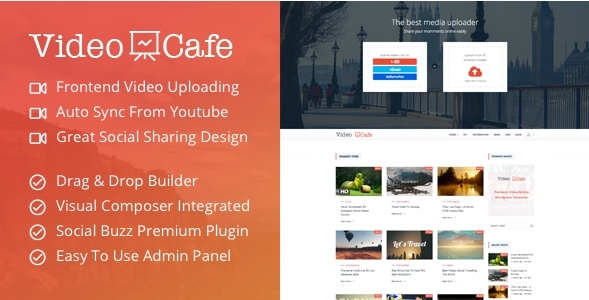 These themes offers embedding videos from Youtube, Vimeo, Daily motion, Hulu or showcasing creations of your own or embedding any type of videos. 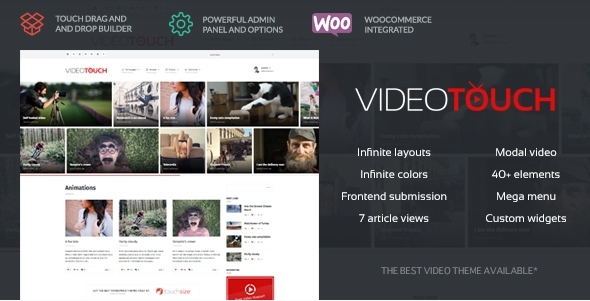 Video tube offers a clean and modern platform design to do these responsive WordPress themes are useful for any kind of video hub, movies blog or website. 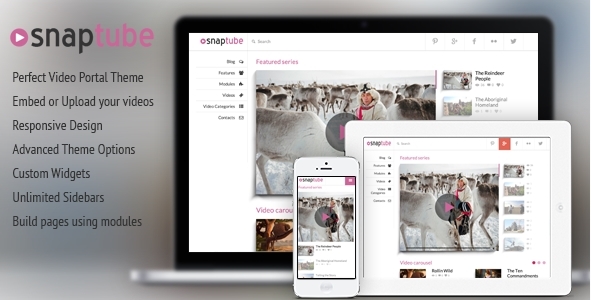 Hope our research will help out to find best video wordpress theme. 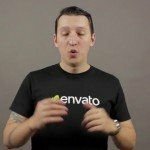 TheMotion is a clean and elegant WordPress theme video for video sites, and it can also be a perfect fit for blogs or portfolio sites. It has a beautiful slider, the chic light colors and a modern look. Its elegant, minimalist design makes it versatile, ready to adapt to any type of site. 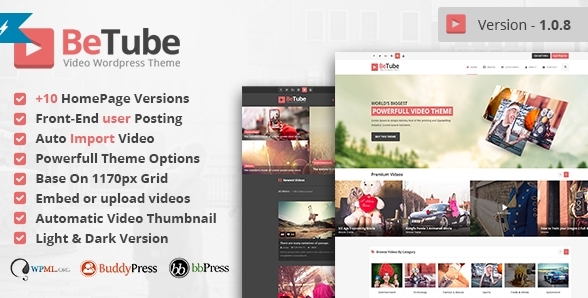 Betube is the most powerful and largest Responsive WordPress Video Theme developed specifically for the video site. 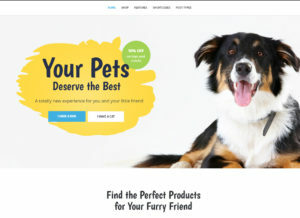 Betube brings you the latest design trends in the video site with beautiful templates page full-width fixed and oozing with elegance and charm, you will have a video site ground breaking fully functional within minutes of purchase. 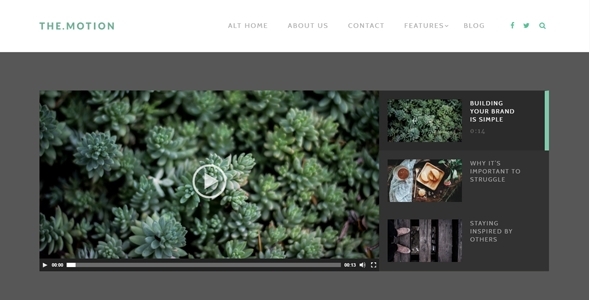 Reel Story is a minimalist premium video portfolio WordPress theme for any content creator who must present his / her work in style. 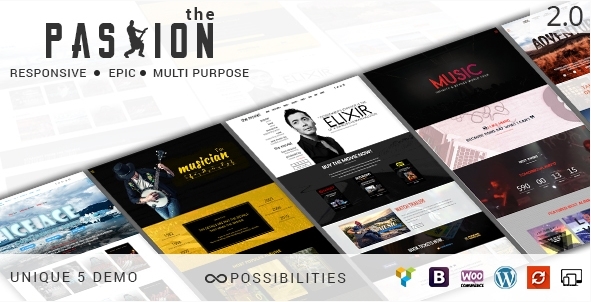 The passion is multipurpose movie wordpress theme by working with many clients of the entertainment industry, we made the movie theme that is suitable for official websites of cinema, Movie Studios, the music industry, and our last demo is for video . 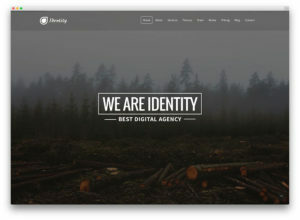 The theme for WordPress strongest for web-based video. 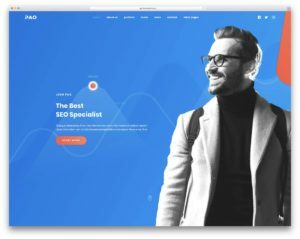 Built on our themed, real Mag largest video market, VideoPro has more unique features that help you build any type of video sites. 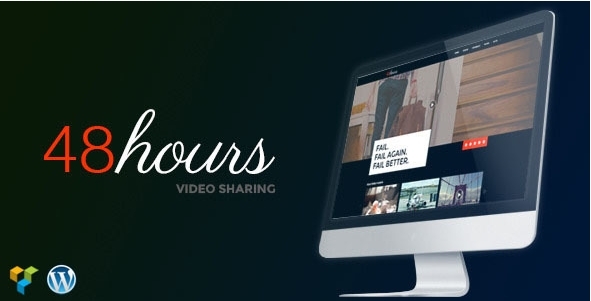 48 hours is fully responsive, sharing Ratina-Ready Multipurpose video WordPress Theme for video sharing sites. clean and modern elements, it is unique and perfectly focus on the video content. Media sharing is a trend video wordpress theme that have special function to upload and share photos, videos, sounds facebook, twitter websites, Youtube, Dailymotion or any other distribution media. 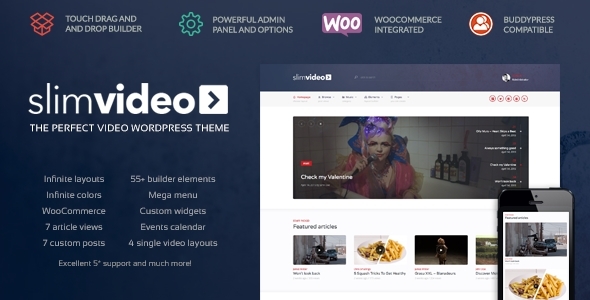 OneVideo is a video community & media wordpress theme made by TouchSize, a well-known premium themes and plugin that always looks for quality and beautiful aesthetics along with excellent options and settings. 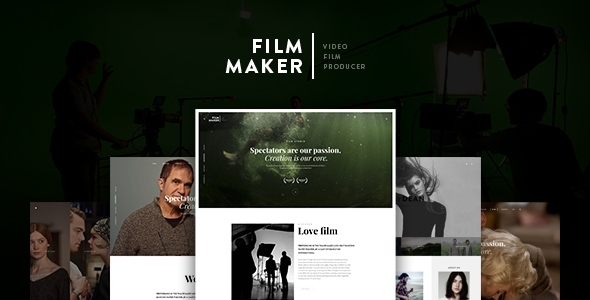 Movie Maker is extremely film studio – movie production – video blog wordpress theme suitable for any organization / company / team / creative person to build their own film maker center studio / movie / film production / Vlog site and any site can use the movie WordPress theme video. 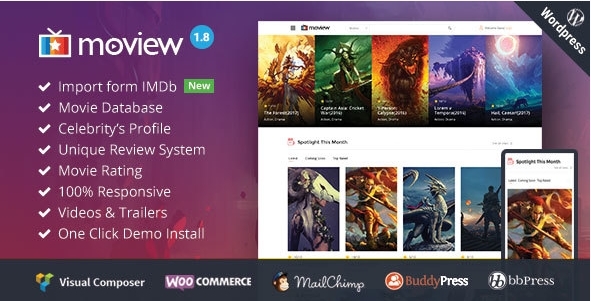 Moview is a responsive film/video db & review theme WordPress to create a site similar to IMDb, Rolling Stone, CinemaBlend, TMDB, Rotten Tomatoes or NDTV Movies. 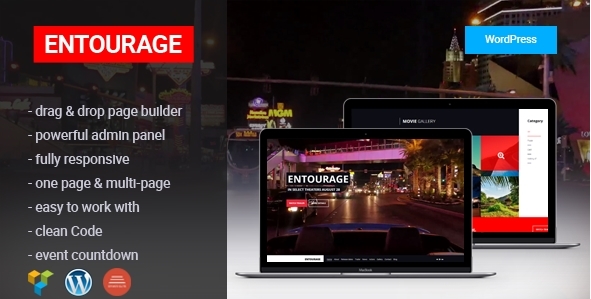 Entourage is fully responsive, professional and flexible film, movie, cinema, tv WordPress theme designed to promote the film, presentation of projects, films, pictures, events and other who need an easy, attractive and effective to share their work with customers. 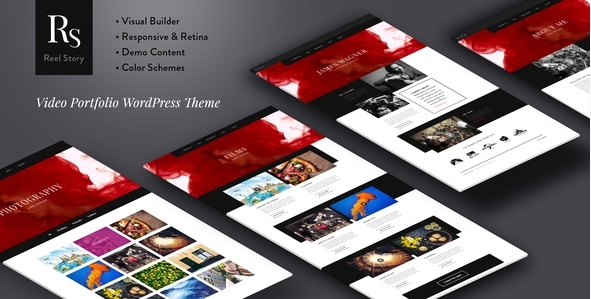 This theme is universal and can be used for any site. 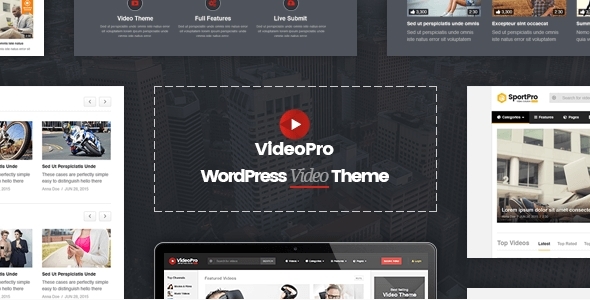 Videofly is a clean and modern Video WordPress Theme that makes it easy to add videos and even let your users add their own. Video News = WordPress Magazine / Newspaper Theme. Give your Blog a clean look with “Video News” a Hight Quality Magazine Responsive Theme coded and designed with a lot of care and love. 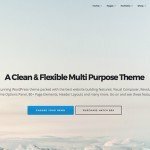 This is a theme made by TouchSize, a well-known premium themes and plugin creator www.touchsize.com. Additional Features: Advanced Theme Options, Sliced PSD, Back To Top Button, Calendar, Crossbrowser Compatibility, Custom Page Templates, Dropdown Menu, Favicon, Google map, Google Web Fonts, Social Options, Tabs, Tag Cloud. 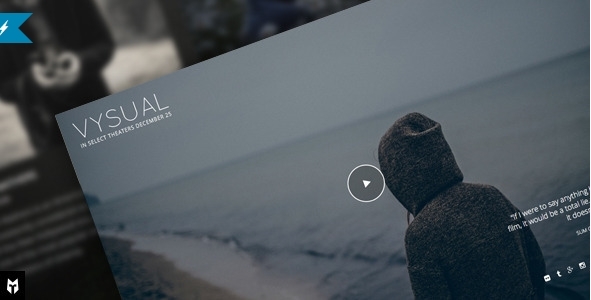 VYSUAL is a movie and video WordPress theme for film campaigns and movie marketing (i.e. “Official Movie Site”). 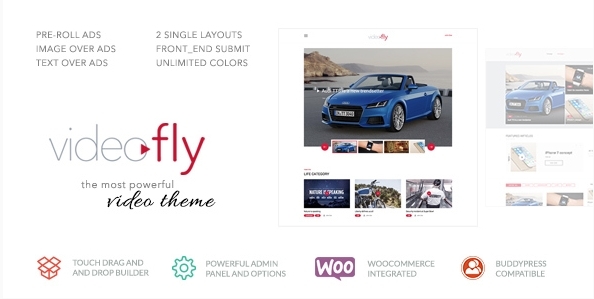 This theme utilizes built-in features of WordPress, making it really easy to use and setup. 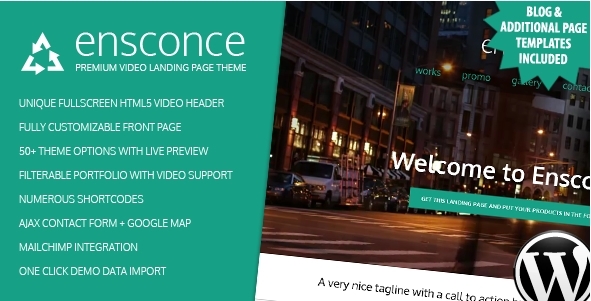 Features: theme customizer with instant side-to-side preview, extremely versatile front page with numerous options, unique full width HTML5 video header for videos hosted on your server, YouTube full width video header is also supported in Flash for any YT video, as an alternative a full width header slider is also available. 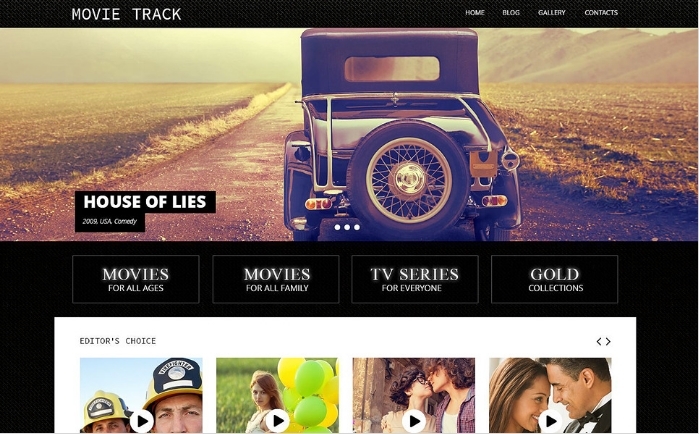 The site visitors will watch movies with great pleasure on a site with contemporary responsive design. 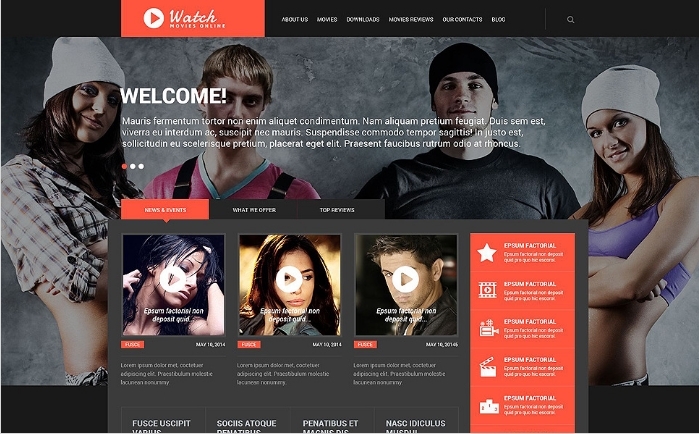 Movies WordPress Theme will help you start or redesign the existing one to meet your requirements. Movie Me is intended for the presentation of films, projects, videos, movies and much more. 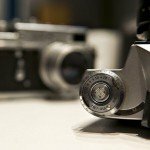 Pictures and videos easily change. These sites are very popular because they have a very large conversion. 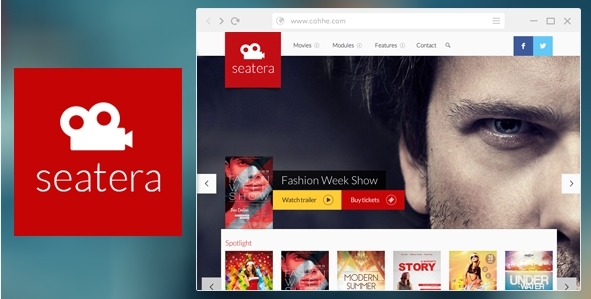 Seatera is a powerful, feature-rich seat reservation movie WordPress theme which is suitable for any type of cinema, movie promotion, theaters, blogs and movie communities. 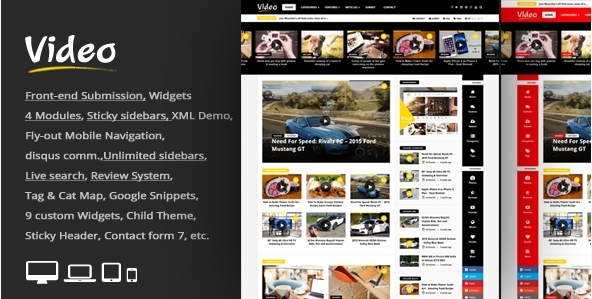 Viduze is a premium video magazine WordPress theme designed for video related sites but it can also be used to create your own store or a social media site using BuddyPress. 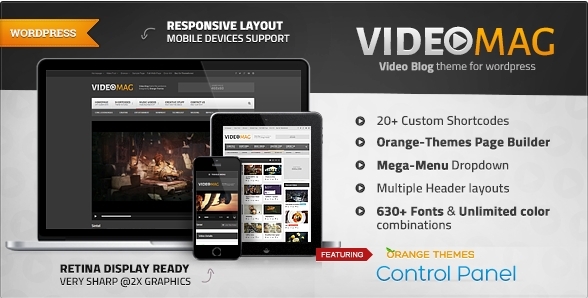 VideoMag is a Powerful Responsive Video WordPress Themes designed for video magazine, video blog or video portal. 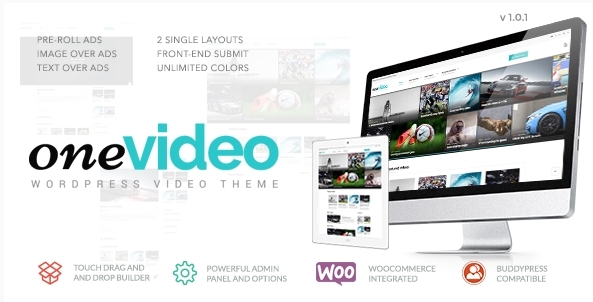 VideoMag supports Vimeo, Vine, Youtube DailyMotion, Twitch and self-hosted videos.